Delicious twist pasta made on the farm with 4% spirulina. 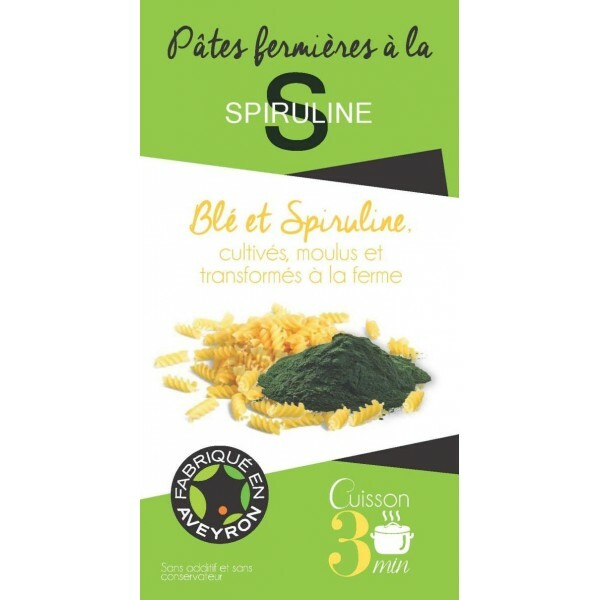 Wheat and Spirulina cultivated ground and processed on the farm. No additives and no preservatives. Fast cooking, only 3 minutes and not one more. 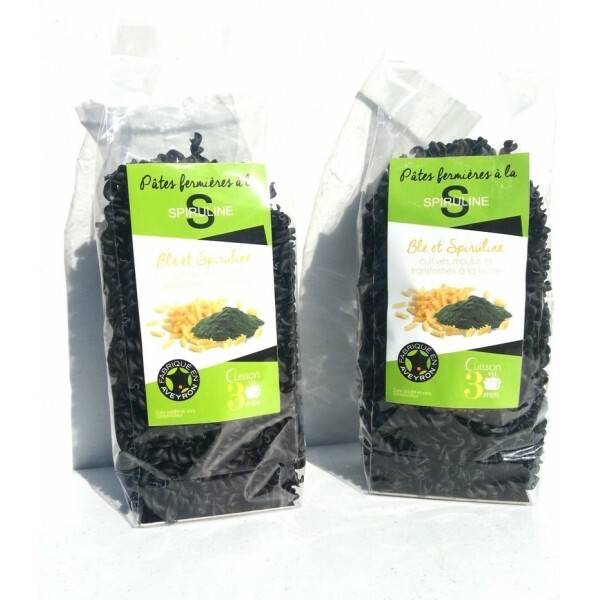 These pasta will surprise you pleasantly with their delicate flavors, as good cold salad, as hot with fish, meats, or natural with sauce or grated cheese. Ha ! 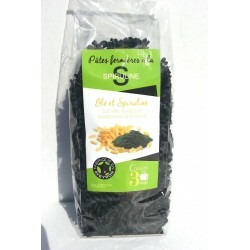 do not forget you can sprinkle your pasta with twigs of spirulina to find the vitamins lost during cooking. Directions for use : Fast cooking, 3 minutes only and not one more.